Ever since the release of their debut album Juturna back in 2005, fans have seen many sides to the five-piece known as Circa Survive. Recently the group has decided to break free of a label to try and go in the do it yourself direction, something that’s become widely popular in the underground scene. With a lot riding on this decision and everyone not knowing quite what to expect from the experimental/ indie rockers, things are either sink or swim with the band’s fourth full length, Violent Waves. Violent Waves showcases the group in tip top form and moving with possibly the strongest force that they’ve ever delivered. 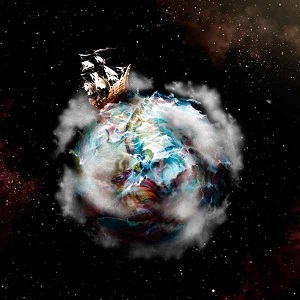 The album opens with the powerful seven minute long track “Birth of The Economic Hitman” and from then on it’s apparent that this was the release that Circa Survive was meant to make. “The Lottery” exhibits a technical prowess that’s both hard hitting and delicate while “Blood From A Stone” offers a slower and slightly stripped down sound compared to the bulk of the tracks. Each song seems to shine in its own way and moves along with an equal amount of diversity and emotion, and whether it’s through musicianship or lyricism, a huge amount of improvement is demonstrated. Once Violent Waves is over, it’ll be calling for a repeat and with that being said, it’s easily one of the best releases to come out of this year.